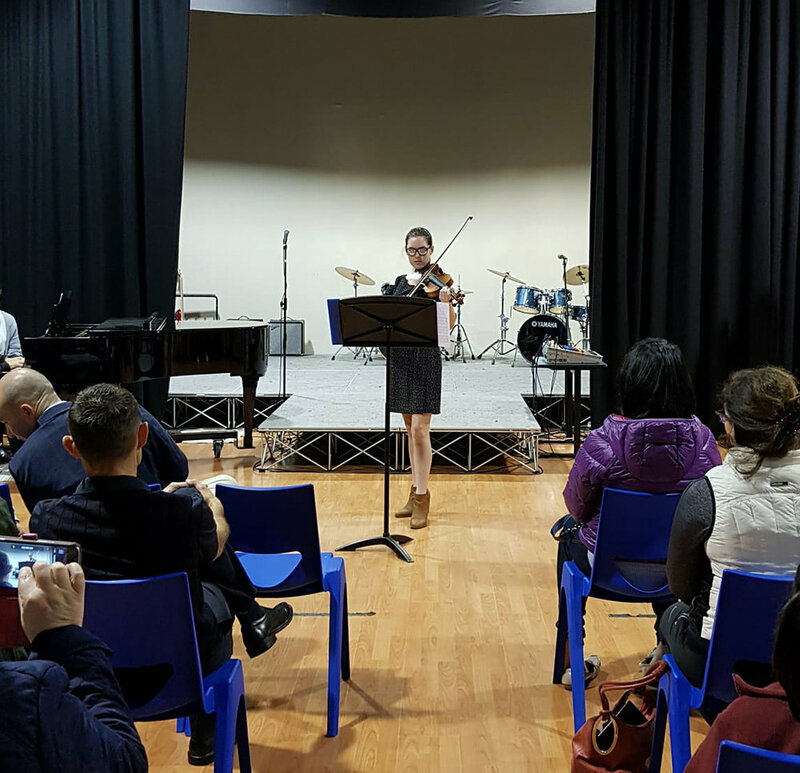 The Corpus Christi String Recital took place on the evening of Tuesday 12th June, and was a showcase of our very promising violin and cello students. The students displayed a variety of wonderful solo performances, demonstrating their individual abilities. The evening concluded with the Corpus String Ensemble performing the items from the Fremantle Eisteddfod, and they showed great improvement and enthusiasm. Thank you to the tutors Miss Gardiner and Miss Kotze for all their hard work with the students this semester, and to David Harries for accompanying the students. Thank you as well to Michelle Hunt and Abigail Radford for all their hard work in setting up behind the scenes. We look forward to another successful semester in the String department, with plenty of performance opportunities!